The rehap shop of Baptist Holistic Home Care Service locates in G/F, Block B of our hospital. 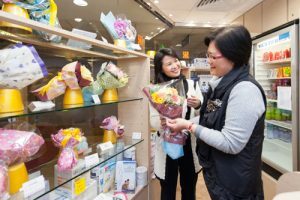 The Baptist Holistic Home Care Service (BHHCS), the first corporate social enterprise project jointly launched by Hong Kong Baptist Hospital and Baptist Oi Kwan Social Service (BOKSS), aims to provide professional service after hospitalization. With the comprehensive services provided, BHHCS serves as an information hub for referral source and rehabilitation and care products retail.